A satellite phone is a piece of equipment that can literally save your life. Whether you frequently head out into the wilderness, go sailing or just needs something you can rely on in case of an emergency, a good satellite phone can take care of your communication needs when it’s most needed. You might also be interested in our articles about the best cell phone signal booster and the best walkie talkies. You don’t have to frequently go to places with no reception to consider buying a satellite phone. In case of a natural disaster that wipes out the communication infrastructure in your area, your satellite phone can be the lifeline for you and your family that’ll help guide the emergency rescuers to your location. As it uses a network of satellites to communicate, a satellite phone’s coverage is available in places where other cellphone networks can’t operate. As the satellite network is located 500-1,000 miles above the ground, they can operate properly in most harsh weather conditions. When you’re shopping for a new satellite phone, there are a few things that you need to keep in mind in order to get yourself a good phone that fulfills your needs and gives you a good value for money. Below are some of the most important things that you should keep in mind when you’re purchasing a new satellite phone. Where will you use your phone? It is true that satellite phones, in general, are made to work in harsh conditions. However, if you’re planning to use your phone in conditions that are “especially harsh”, you should always keep that in mind when you’re choosing your new satellite phone. For example, if you’re going to use it in a place that is extremely cold like Antarctica or some really humid tropical area, you should check the operating temperate and conditions of that phone. Getting stuck in an environmentally hostile place with a dead satellite phone is something that you definitely don’t want. All satellite phones can be used for making calls. However, some of them can be used for much more than that. Knowing what exactly what is it that you need from your satellite phone can help you get one with the right specs. Extra features come at a cost. If you get a phone with too many features that you won’t use means paying extra cash for something that you don’t need. Do you plan on using the internet with your satellite phone? Do you need it for texting more or for making calls? Before you make that purchase decision, write down exactly what you’ll be using your phone for. That will save you lots of that hard-earned cash and help you get the right satellite phone. If you’re planning to use your phone in the wilderness, this is a feature that can simply save your life. An emergency button allows you to instantly transmit a rescue message along with your location to the emergency personnel. Aside from being a fast way to ask for help, you might get in a serious situation where all you are able to do is press a button and wait for help. We all wish we never get in that situation but you know what they say, better safe than sorry. If you’re of the adventurous type, this is a must-have feature. Where will you use your phone? To some people, the hands-free option is a must-have feature in a satellite phone. There are many situations in which having to hold a phone to your hand can be highly inconvenient. If you’re one of those people whose use of a phone requires having this feature, getting a satellite phone that doesn’t support it can totally ruin your experience. Now that you’re familiar with what to keep in mind before you put in money on a new satellite phone, let’s have a look at some of the best satellite phones that are currently available on the market. 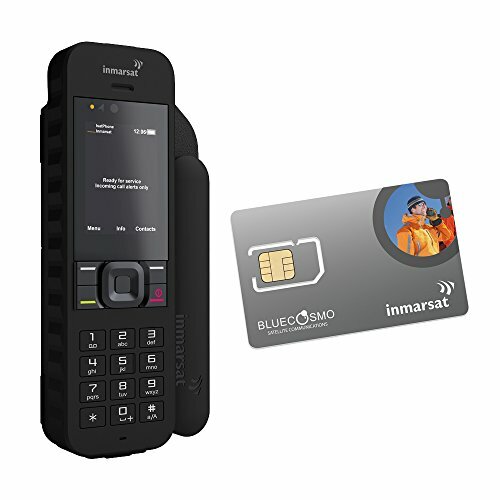 If you’re looking for a reliable satellite phone for personal use with a great value for money, BlueCosmo’s Inmarsat IsatPhone 2 is one of the best available options out there. There are simply so many things that make this phone such a great pick. First of all, this phone offers a wide array of features that’ll satisfy the most demanding users. It has text messaging and voice calling features with a worldwide coverage, thanks to the reliable Inmarsat satellite network. This satellite phone has an SOS alerting feature, which can be saving in many situations that you might find yourself into when you’re in the middle of nowhere. Whether you’re on the top of a mountain or in the middle of the desert, the weather-proof design of the IsatPhone 2 has got you covered. Despite being weather-proof, this phone is not suitable for the extreme polar regions. If you’re planning on using your new satellite phone on some kind of polar exploration campaign, this phone isn’t what you’re looking for. As the Inmarsat IsatPhone 2 has a battery life that is among the longest of all the available satellite phones, a battery that’s dying on you in the middle of the wilderness is one less thing to worry about. Another thing to keep in mind when you’re buying this phone is the fact that it like all the other Inmarsat phone- requires a clear line of sight to operate. In other words, the phone’s antenna needs an open view of the sky to operate properly. While this is a not an issue for the vast majority of users, it was definitely worth mentioning. Add to that a screen that has an excellent level of visibility and you’re in for a satellite phone that is great for personal use. The Iridium 9555 is a satellite phone that is built to be tough and reliable. 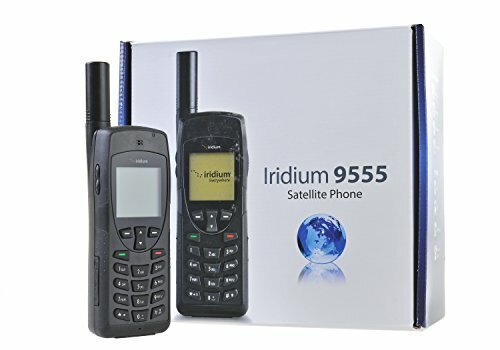 When it comes to satellite phones, Iridium is a brand with an excellent reputation. Aside from the fact that their phones are indeed tough, they are reliable everywhere for a simple reason: satellite coverage. Thanks to Iridium’s powerful satellite network, this phone can work almost anywhere on earth. Ease-of-use is another thing that is so great about this satellite phone. The design is so intuitive and can be easily used right out of the box. Despite the fact that its shape might seem a little bit dull compared to some other models, we don’t believe flashy looks come into play when choosing a new satellite phone. Iridium has got the size right with their 9555 model. It’s small enough to carry around with ease and large enough so it’s easy to use in rugged conditions. When it’s freezing and you’re wearing thick gloves, the last thing you’ll need is a satellite phone with buttons that are just too small to press. Thanks to the good design, you’ll never find yourself in this situation. To make using this satellite phone even more convenient, Iridium made sure to support the hands-free feature, so you can use the phone even when your hands are occupied with something really important, which is really common in almost any tough environment. The Iridium 9555 also comes with a free leather case that makes holding this phone even more comfortable. Not many satellite phones come with a free case so we thought this was a really nice tough from Iridium. Finding a billing plan isn’t something that you’ll have to worry about. The company has prepaid and postpaid plans so you can choose the method that fits you best. Whether you prefer the convenience of a prepaid plan or the peace of mind of postpaid plans, Iridium has got you covered. If you’re looking for a satellite phone that is super-tough and reliable wherever you go, the Iridium 9555 is simply one of the best models that the satellite phone industry has to offer. The 9575 Extreme is another great satellite phone from Iridium. As the name suggests, the Iridium 9575 is built to endure some of the harshest environments. If you’re looking for a satellite phone that is built to endure, the Iridium 9575 is one tough phone. When we say “tough”, we mean really tough. This phone has a military-grade durability level, MIL-STD 810F, and the highest Ingress Protection rating in the industry, IP65. This phone is dust-proof, shock-resistant and jet-water resistant, which means it can operate in the harshest conditions imaginable. Thanks to Iridium’s state-of-the-art satellite network, this phone can work virtually anywhere. As the Iridium satellite network is well-known to have one of the widest coverage areas in the entire industry, this is a phone that you can always rely on. Another feature that really sets this phone apart from the competition is the fact that it’s so well-equipped to handle emergencies. In addition to being durable so that you can count on, the phone has an SOS button that you can use to ask for emergency help instantly. Once you push that SOS button, it will transmit a message that you’re in a dangerous situation along with your coordinates to the proper authorities. Such a feature is especially important if you travel alone. In addition to being well-equipped for emergencies, the Iridium has a battery that supports 4 hours of talk time or 30 hours of standby. Despite not being the most impressive battery life among other phones that we’ve review, it’s definitely good enough. The Iridium 9575 also supports GPS-enabled location services, online tracking, and Google Mapping services, which can be a priceless feature when you’re headed into some rough terrain. As with any Iridium phone, you can choose either a prepaid or a postpaid plan. If you’re looking for a reliable satellite phone with great emergency features, this is one of the best available options. There are two types of hikers: those who stick to the well-known trails and those who love to venture into the wilderness. In both cases a good satellite communication device is necessary for a simple reason: you never know what could happen. Being stranded in the wilderness without a reliable way to know your or communicate with the world is a situation that can least be described as serious. The Garmin inReach Explorer+ is a satellite communication device that has an impressive array of features that make it the best companion on all of your adventures. There is something that you keep in mind when you’re comparing the Garmin inReach Explorer+ to other satellite phones: this isn’t a “phone”. This communication device can be paired with your phone using the free earthmate app while having so many interesting features. 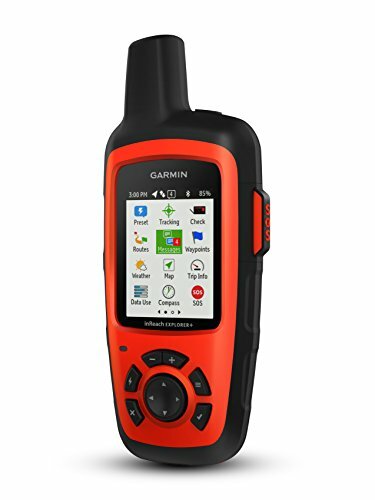 Thanks to its colored screen, this satellite communication device can be used for displaying onscreen GPS routing, a built-in digital compass, a barometric altimeter, an accelerometer as well as many other super-handy features, which make this device very useful on an outdoor adventure. Another feature that makes this device really stand out is the dedicated SOS button. With a single press of that button, you’re able to communicate critical information such as your location to the world’s emergency response solution and monitoring leaders, GEOS. Since this is a device that is made with hikers in mind, having a dedicated SOS button really makes sense here and make the device a much more appealing option. Garmin doesn’t use its own satellite network. Instead, they use the Iridium network. Given the fact that Iridium has one of the strongest satellite coverage in the entire satellite phone industry, this is a very competitive advantage. Not only is that network reliable, it is also available almost everywhere imaginable, which makes this device useful virtually anywhere. Being IPX7 water-rated means that you won’t lose your only way of communication to water damage, which can be a really nasty situation if it ever happens. This is a communication device that is built with ruggedness in mind so there is nothing here that you need to worry about. If you’re an outdoor adventurer looking for a way to communicate and navigate on your next adventure, this is a satellite communication device that has everything you’ll ever need. 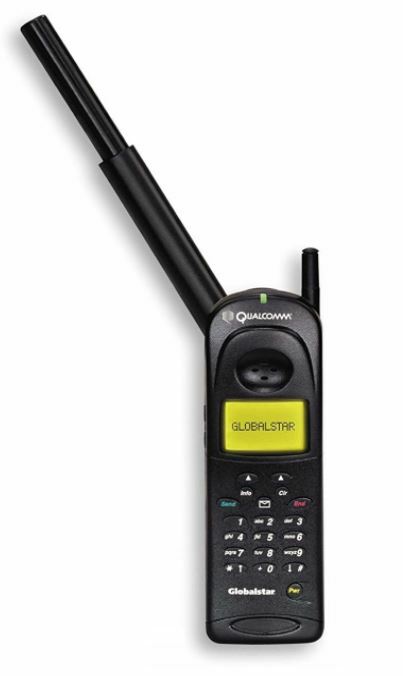 The Globalstar GSP-1600 was designed for people who need a reliable digital communication solution in places with no regular cellphone reception. With a clear voice, reliable performance and data capabilities, this satellite phone in a complete communications solutions for remote areas. Thanks to the satellite connection quality that the GSP-1600 has, you can get top-tier sound quality even in the most extreme weather conditions. In addition to its superb sound quality, this phone is really easy to use. All you have to turn is turn up the phone’s antenna and you’re ready to make calls and send text messages. In addition to that, it has some decent data capabilities. As it’s built for extreme weather, this phone has an impressive operational temperature range between -20 to +55 degrees Celsius. The wide temperature tolerance makes this phone reliable in some of the harshest weather conditions on earth. To make using convenient while driving, it has hands-free capability and comes with a vehicle-mounted car kit that can be easily installed in any type of vehicle. As for battery life, it is kind of mediocre on this device. With 3.75 hours of talking time and 19 hours of standby, the battery here is not bad definitely not impressive compared to other models. Coverage is something that sets this phone apart from other phones that work with the Iridium satellite network. There is no denying that the Iridium network offers some of the best coverage in the entire industry. Despite not boasting a “global” coverage like that of the Iridium network, the Globalstar has a decent coverage, especially for its price. You should check whether the region you’re using this phone in is covered before you buy it though. Other than that, this is a pretty decent budget satellite phone with a solid performance and a good value for money. The last on our list is the Thuraya XT-LITE satellite phone, which is a great value for money if you don’t plan on using it in the United States, where it simply won’t work. The reason for this is the fact that Thuraya doesn’t offer US coverage. 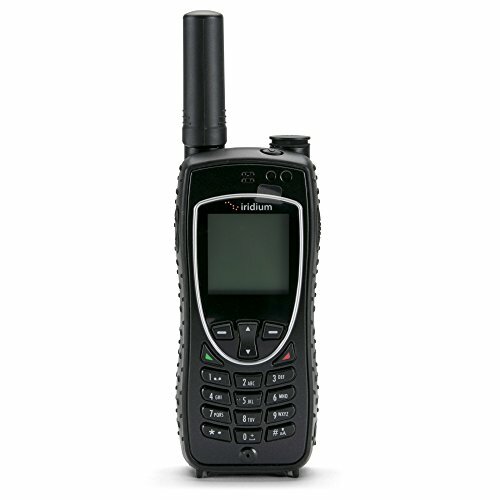 Other than that, this is a satellite phone with a solid performance and an incredible value. The first thing that you’ll notice about this phone is its compact size and great screen, which are two very important features in many situations. Thanks to having such a compact size, you can easily fit it in a crammed backpack when you’re heading out to a distant location and want to take the minimum amount of luggage with you. Wherever you are, the screen is clear and easy to see, which is extremely helpful when you travel in areas with strong sun brightness. The screen is also appropriately-sized and has a good level of contrast, which makes it even better for finding contacts and reading messages, which is something that this phone also supports. Aside from making calls, you can use the XT-LTE phone to send SMS messages just like you do from a normal phone. Considering the affordable price of this phone, this is a great feature to have. Another very handy feature is how easy it is to swap its battery. This is particularly useful if you’re headed for a long trip and won’t have a chance to charge your phone. Not having to struggle to sway the battery while you’re in the middle of nowhere is definitely welcome. 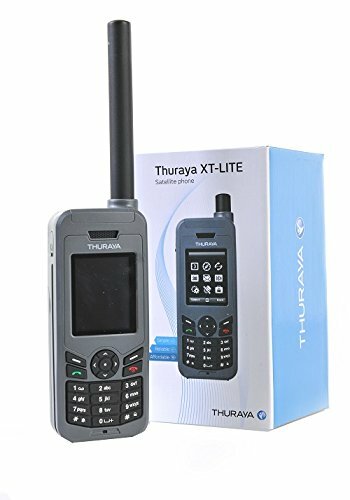 If you’re looking for a quality satellite phone at a budget price to use outside the United States, the Thuraya XT-LITE is your best bet.